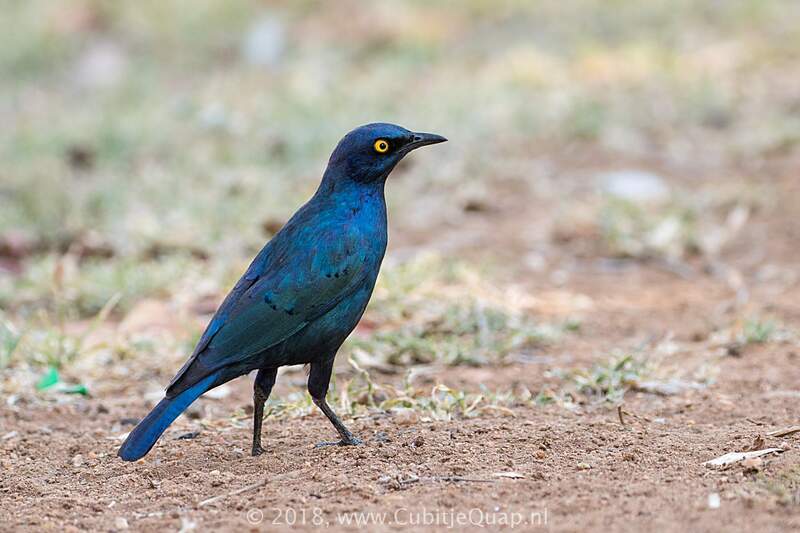 Distinghuished from Cape Glossy Starling by its broad, dark blue (not green) ear patch and blue (not green) belly and flanks. 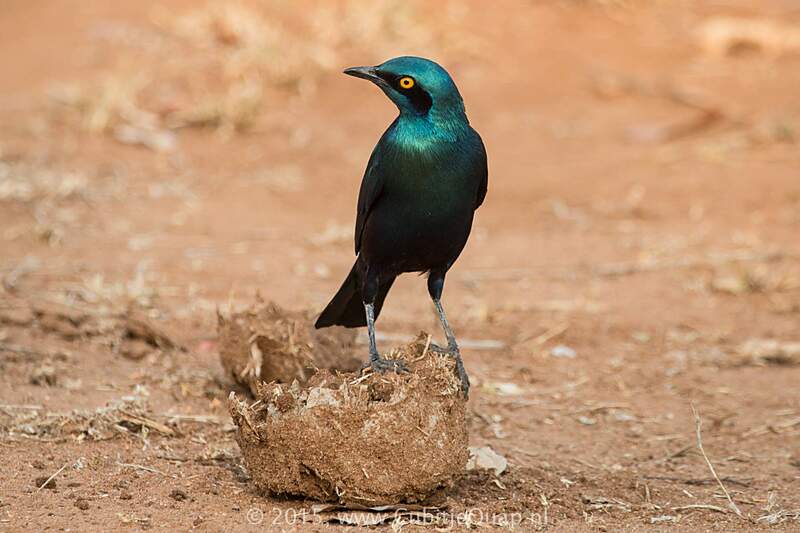 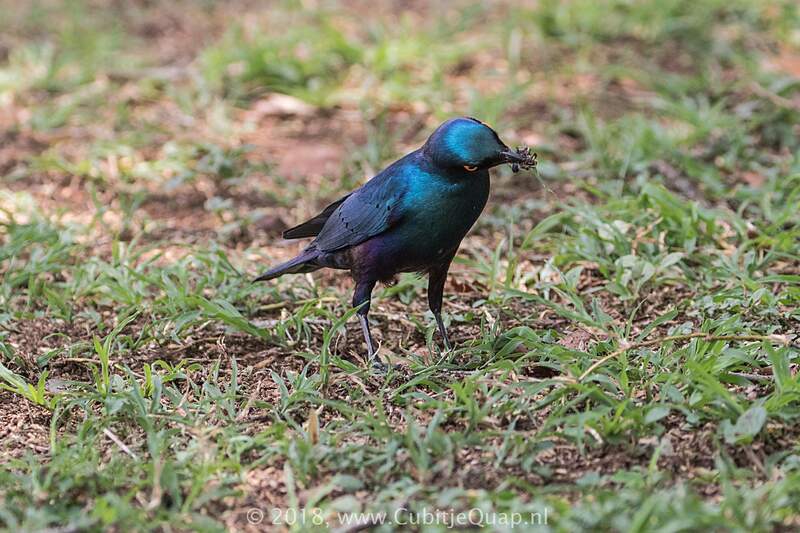 Larger than Miombo Blue-Eared Starling, it also has a broader ear patch and blue (not magenta) belly and flanks. 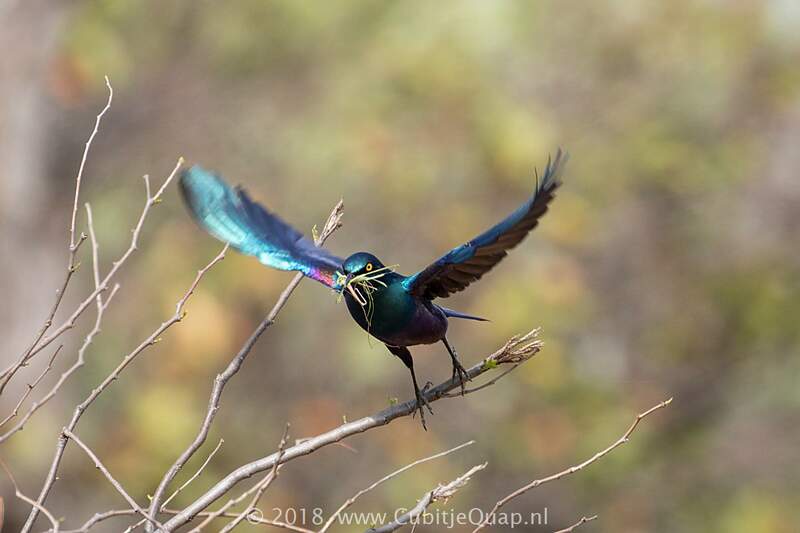 Juvenile is less glossy than adult. 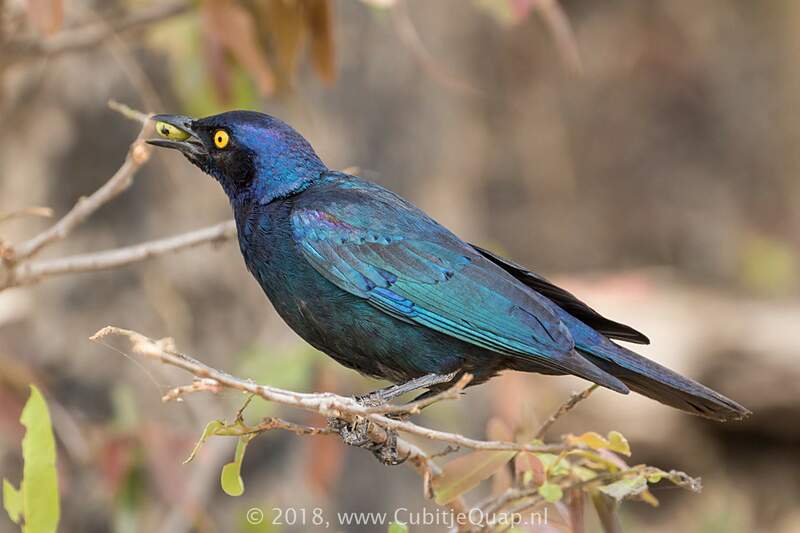 A distinctive, nasal 'squee-aar' (unlike any call of Cape Glossy Starling) and a warbled song.